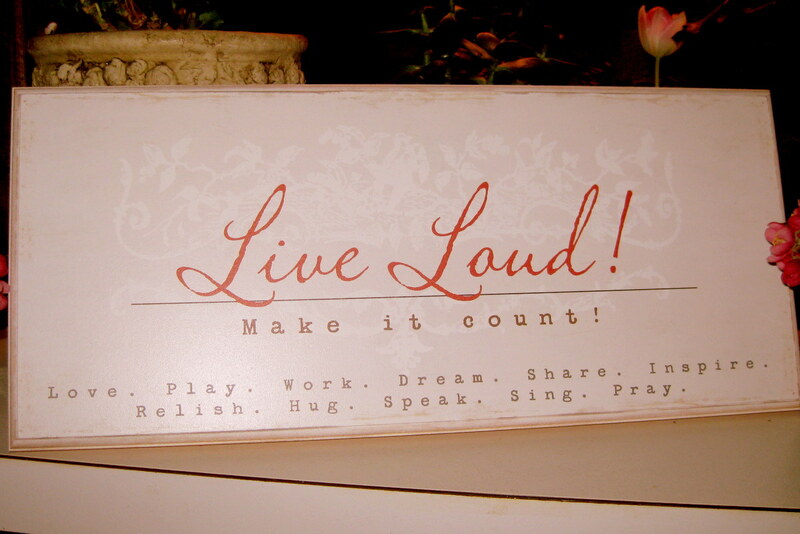 I want to encourage you to LIVE Loud and Make it COUNT this year. Now, even though I’m naturally a loud person, that isn’t what I mean here. What I mean is to live your life with passion, gusto, meaning!! In everything you do….LIVE it. IN the moment. Do not become dulled by the busyness, by the stress and worry. Dullness may seem to help you survive, but you miss out on so much that way. I’m not one to talk about silver linings, but I DO know that in every single situation there is at least ONE thing to be grateful for. There have been many times in my life that that one thing is what kept me going. And in recognizing its presence, I discovered even more! 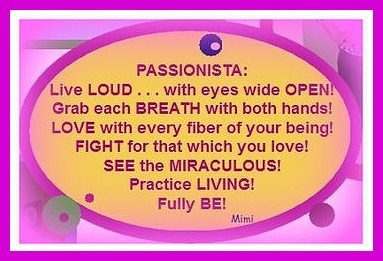 So Passionistas, I encourage you grab hold and live your life LOUD!